The suitcase was packed, my hair was straightened, and I had on my jeans, black tank, pewter leather cropped jacket and my cheetah print scarf wrapped loosely around my neck. Oh yes, I was ready. Big Apple, here I come! 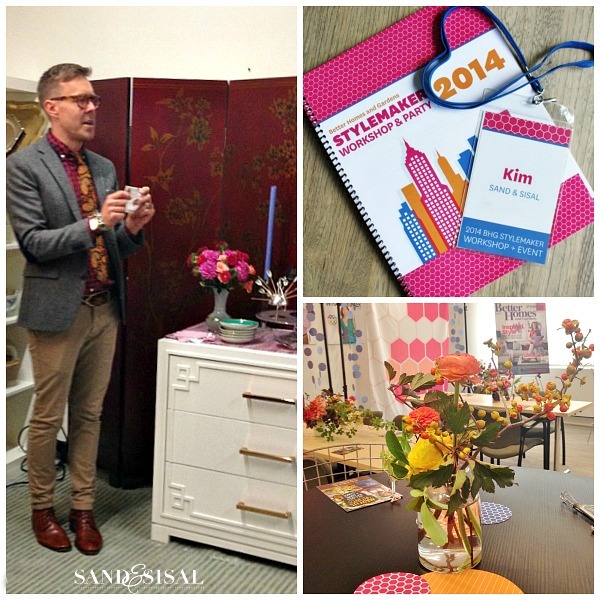 I was off to spend the next 2 days at the Better Homes & Gardens Stylemaker Event in NYC! This would be my first time ever in NYC! And to be totally honest, I was a tad bit nervous. Ok, a whole heck of a lot nervous. I was flying into Newark and taking the train over to NY Penn Station. Then there I would meet my sister Beth (Home Stories A to Z) and then we would navigate the subway together. Thankfully my sweet friend Cyndy (The Creativity Exchange) was flying in at the exact same time. (Yay!). We were able figure out the whole Air Train and NJ Transit system together. Oh my…. Penn Station…. now that is a crazy, busy place! It is where the subways, NJ Transit, and Amtrak all meet! People are everywhere. 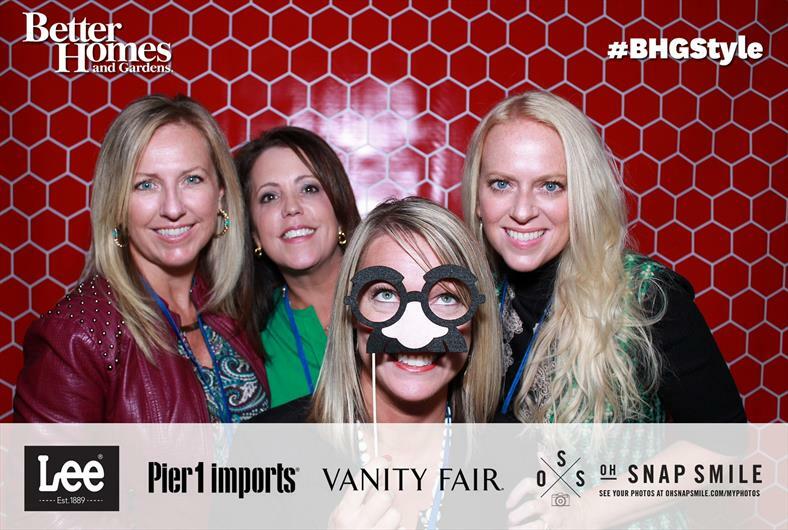 I felt like a deer in the headlights…. a sweaty deer. Air conditioning obviously is not as high on the priority list in NYC as it is in the south. One nice thing was that Amtrak would store my luggage for the day for $5.50! So I checked my suitcase with them and Cyndy and I made our way up to the street level to meet up with Beth. It was time to see some sites before heading to the hotel! 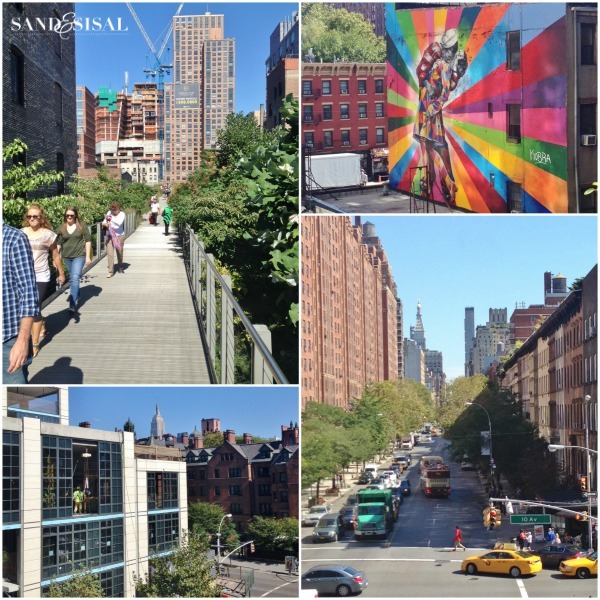 After re-nourishing ourselves with NYC’s finest pizza, we walked along the High Line, an old elevated railway that has been converted into a pedestrian boardwalk with gardens bordering each side of the path. It is a great way to walk throughout the city without dealing with the all the traffic, construction, hustle and bustle. 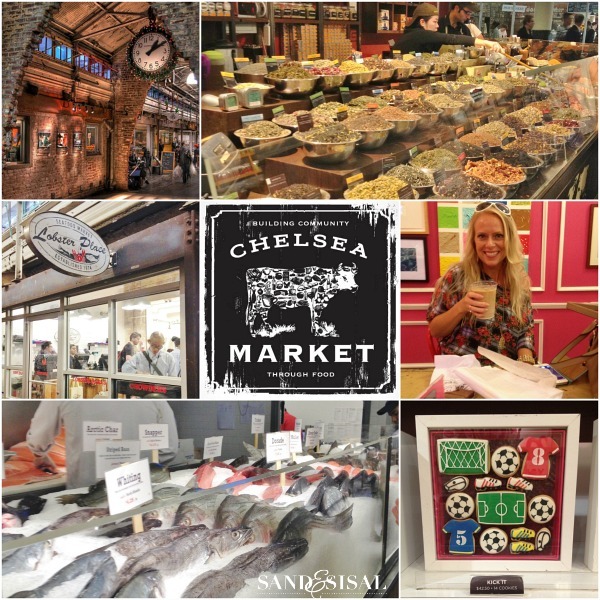 We walked on down into Chelsea Market. Love this place! It is filled with all types of eateries and unique shops. After all our walking, we stopped for a rich chocolate brownie and iced coffee at a little bakery. At the end of Chelsea Market is Anthropologie. Now if NY does one thing right, it’s window displays. 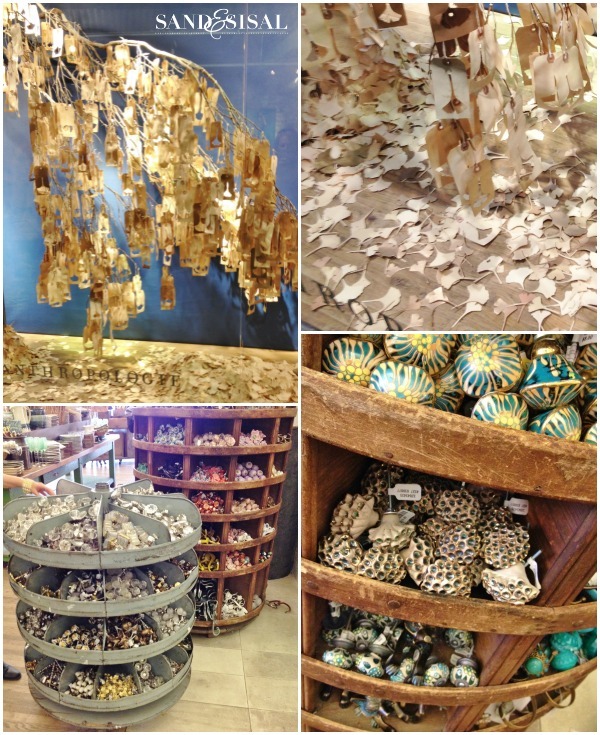 Anthropologie had this gorgeous branch with paper tags hanging from the branches, representing leaves. Each tag had a punched out ginko leaf and the the ground was covered in a thick blanket of those punched out ginkos. It was a work of art. Inside the store we found way too many clothes that I am now coveting…. ahem. They also had two huge round displays of unique knobs and drawer pulls. I felt like a kid in a candy store! After heading back to our hotel via subway (a whole separate, crazy experience), we met up with Rhoda (Southern Hospitality). The three of us quickly realized that hailing a taxi at rush hour was not going to happen. Our dinner reservations were totally across town at Hell’s Kitchen. A bit of panic started to set in. We ended up walking the whole way… in heels! I can completely see why no one in Manhattan is overweight! You get such a work out just trying to arrive at your destination! Dinner was delicious and I wish we had taken pictures, but after walking so many miles, we were simply famished and photos were not on our mind. 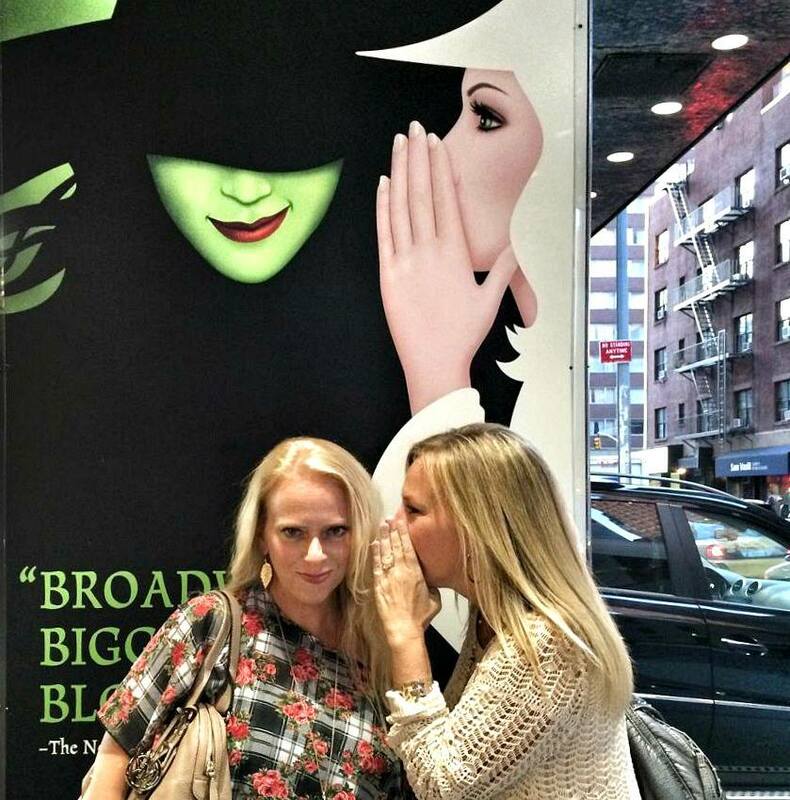 After dinner we saw the Broadway musical Wicked. It was phenomenal, a total must see! Of course my sister and I had to recreate this fun pose! For dinner they whisked us all off to the luxurious Gansevoort Hotel to the BHG Stylemaker cocktail party sponsored by Pier One, Lee Jeans, and Vanity Fair. 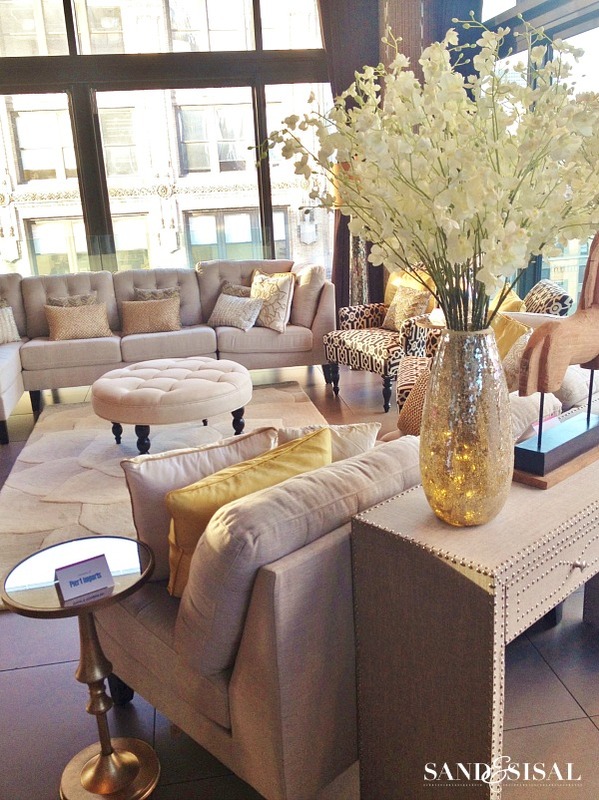 Pier One decorated the room with beautiful neutral and gold furnishings. 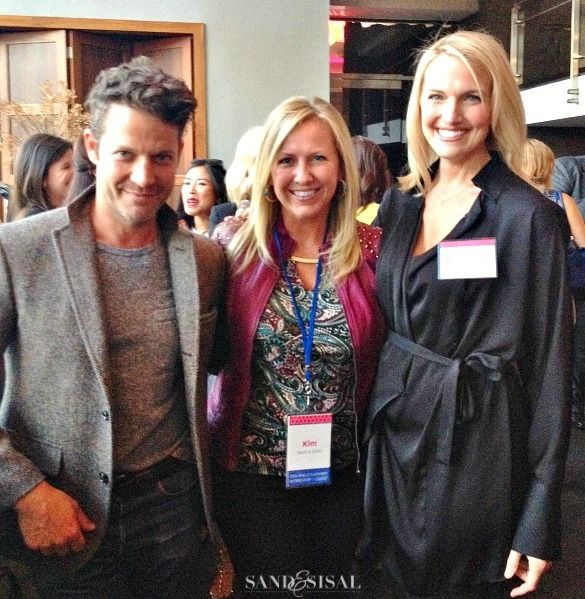 The highlight of the evening was meeting not one, but two of my favorite designers, Nate Berkus and Monica Pedersen! They were both incredibly kind and gracious. 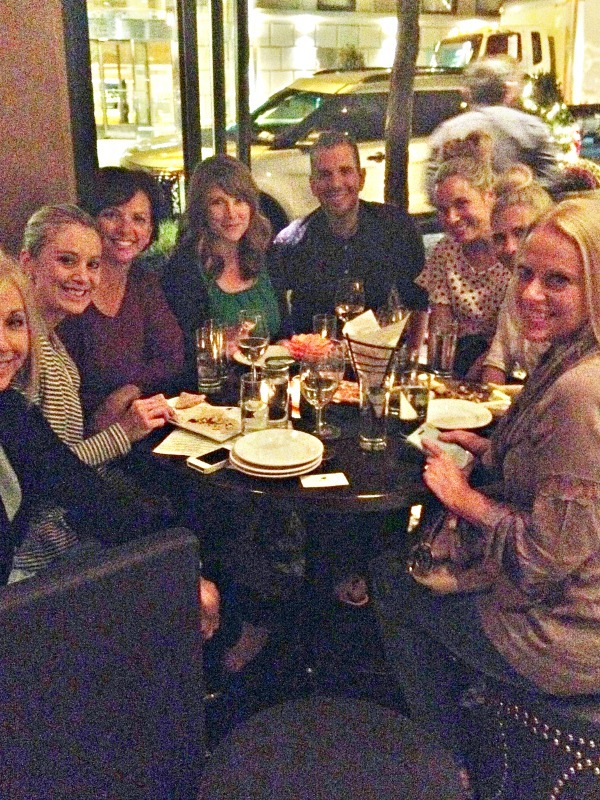 The day was also a wonderful time to see all my bloggy girlfriends from around the country. Pictured below is me, Sarah (The Yellow Cape Cod) and my sister Beth. I think I walked over 50 blocks (in heels) between the two days…I have the blisters to prove it. 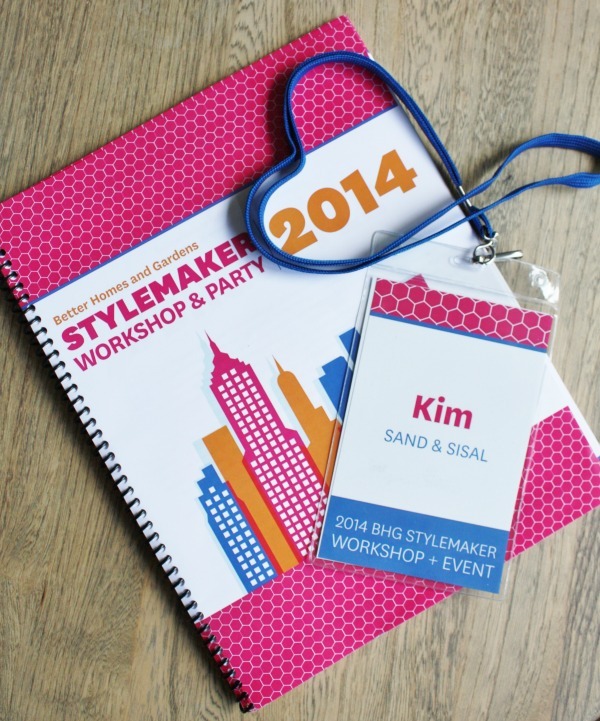 Blisters and all, it was an amazing experience and I’m feeling so very honored to have been chosen and invited this BHG Stylemaker Workshop! 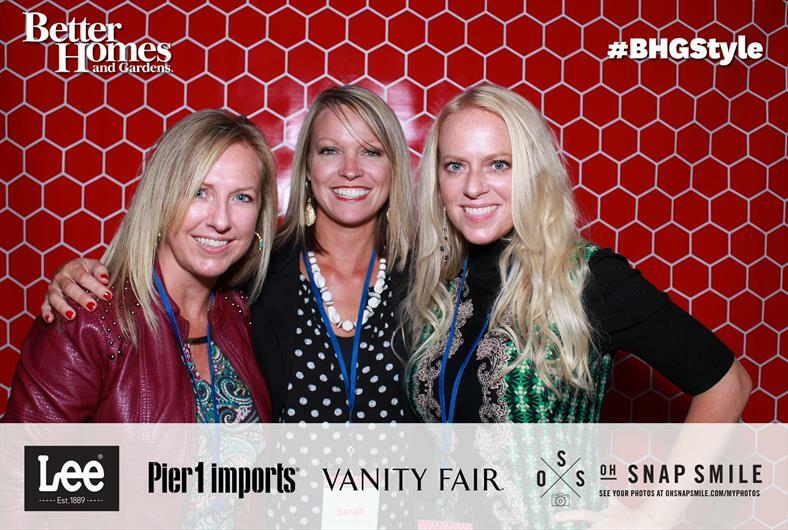 Thank you so much Better Homes and Gardens for making my 1st trip to NYC so very memorable and special! See more #BHGSTYLE pics from NYC on my Instagram. how fun is that! glad you had a great time. Sounds like you all had a ball at this event. I understand about your description of Penn Station. Been there on a Friday about Noon and oh boy, no room for an ant to crawl on the floor left! We had traveled to Poughkeepsie, NY via Amtrack and rented a car to drive to Hyde Park. Returning by train, we had to get off in Penn Station. Somebody forgot to take their luggage and it caused a stir. Before too long, the station is mobbed with NYC police and k-nine dogs. Nobody move! All I could think of was “terriost”. Like you said, if Penn Station had A/C, you would have never known it as it was so mobbed. Well, nobody claimed the left luggage and it got taken away by NYC finest. There must have been some ID tag on the luggage somewhere because they kept calling out a name over the loud speaker, the same one all the time and asking them to come to a certain area..Don’t know if the owner of the luggage ever showed up or not. Thank God my husbandwas able to walk then, as I could have neve manuever him in a wheelchair or walker or cane, like I do now. I’m so glad you had a good time, did you get to see Emirle at Chelsa Market? Sorry about the spelling brain freeze of his name but I’m sure you can figure who I’m talking about. Looking forward to your sharing of more that you learned up there. Congrats again for being selected!